In Memoriam to Howard Margol | Remembering Litvaks, Inc.
Remembering Litvaks, Inc., notes with sadness the loss of Howard Margol, a charter member of its Board of Directors, on February 9, 2017. Howard was born in Jacksonville, Florida, on February 22, 1924. 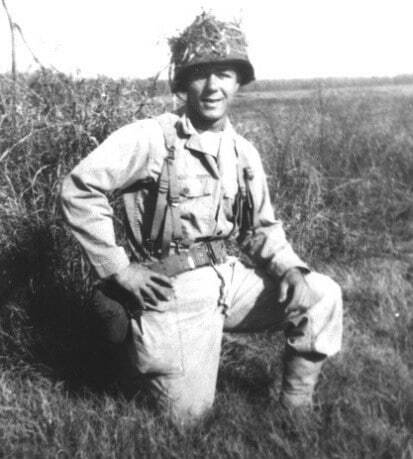 He and his twin brother Hilbert served in the 42nd Infantry Division in World War II and were the first United States soldiers to liberate a Nazi concentration camp. 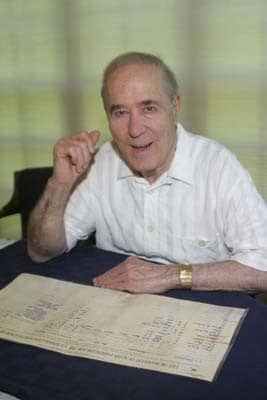 He was a leader in the field of Lithuanian Jewish genealogy and led many heritage tours to Lithuania with our current Board member Peggy Mosinger Freedman. Howard and his wife Esther established and administered the American Fund for Lithuanian-Latvian Jews. Howard and Esther willingly provided the guidance, encouragement, and assistance necessary for Remembering Litvaks, Inc., to begin its work in Lithuania. May his memory be for a blessing for all whom knew him.